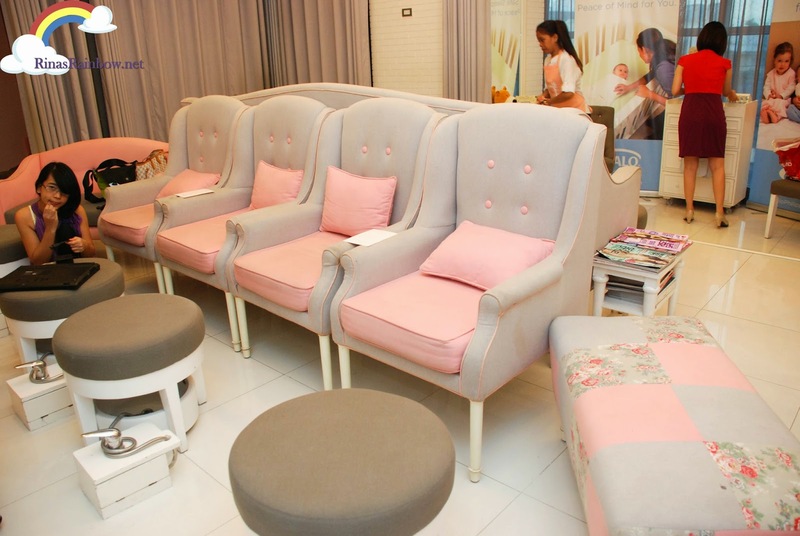 Pink Me Up Beauty Nail and Dry Spa is this pink and dainty heaven for your hand and feet spa needs situated at the ends of the 2nd floor of Lee Gardens Building. 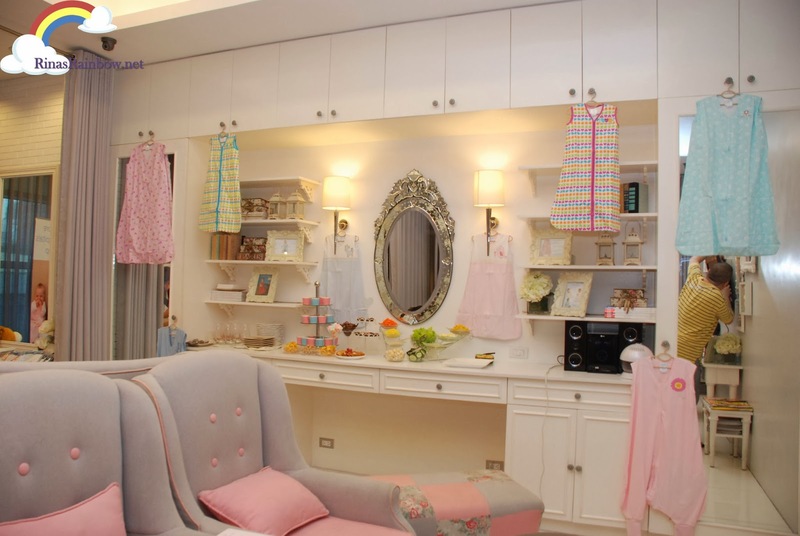 The place is white with splashes of light grey and powder pink. Such a pretty combination! And I love the pink chandelier! The comfy sofas are grey and pink as well. And hence the swaddled teddy bears lying around the place. 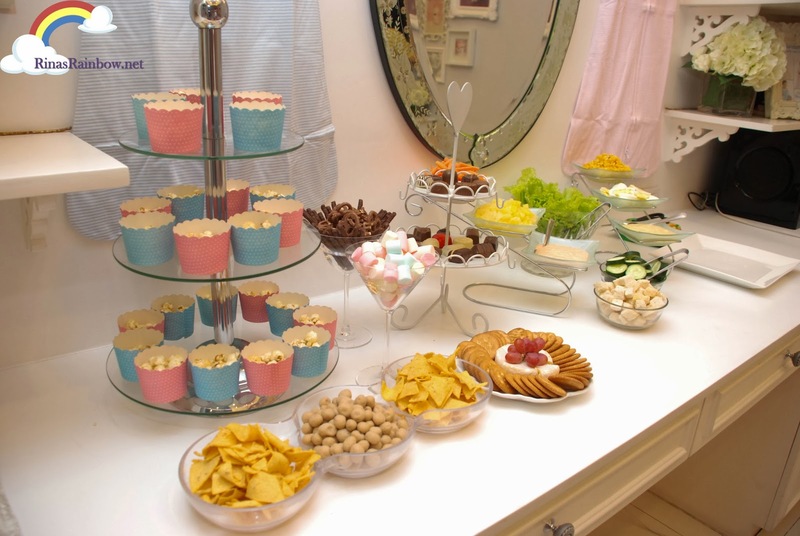 The dresser becomes your snack table for whatever event you're holding / attending. Not sure if they provided the dishes but I thought everything looked pretty! 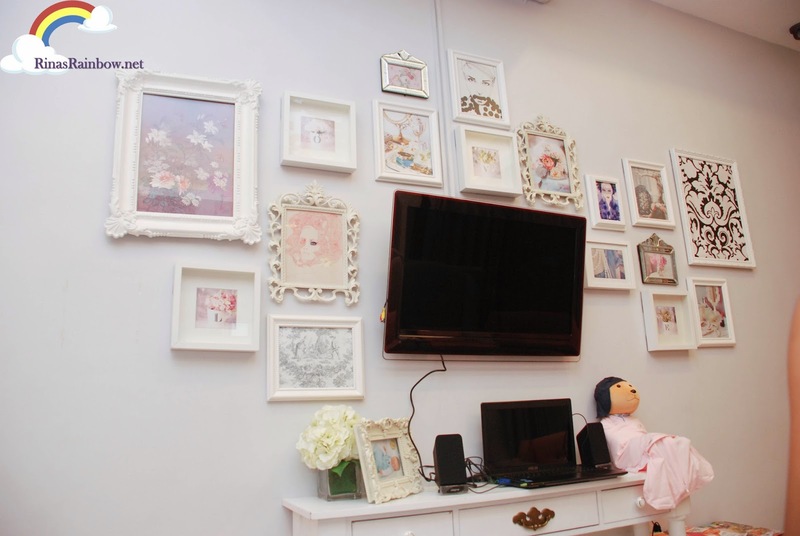 The other wall is painted in very light gray and decorated with pretty white picture frames. And there's a flat screen TV for your audio-visual needs. 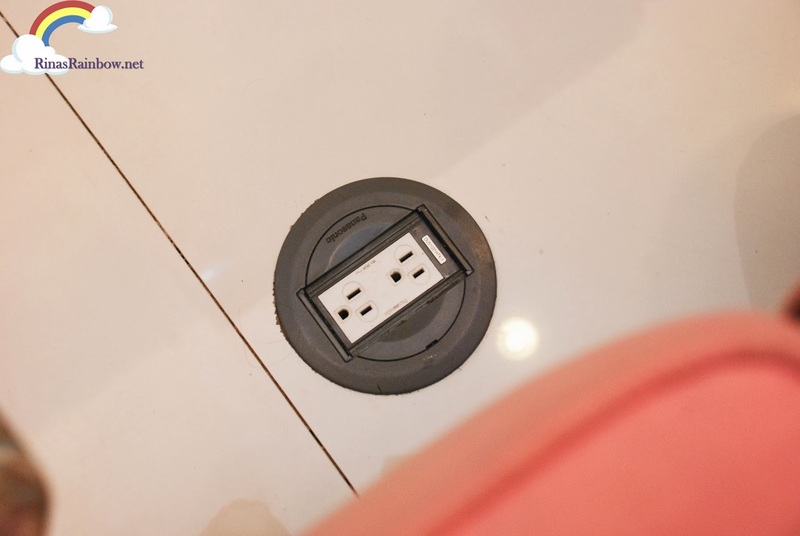 I was so excited when I saw electrical sockets in between each seat. I thought they put that with the thought of customers needing to charge their smartphones. I got all excited and even touched. I even posted i on my Instagram. And then suddenly realized what it was really intended for. For the foot spa machine. Duh! I felt so stupid afterwards haha! 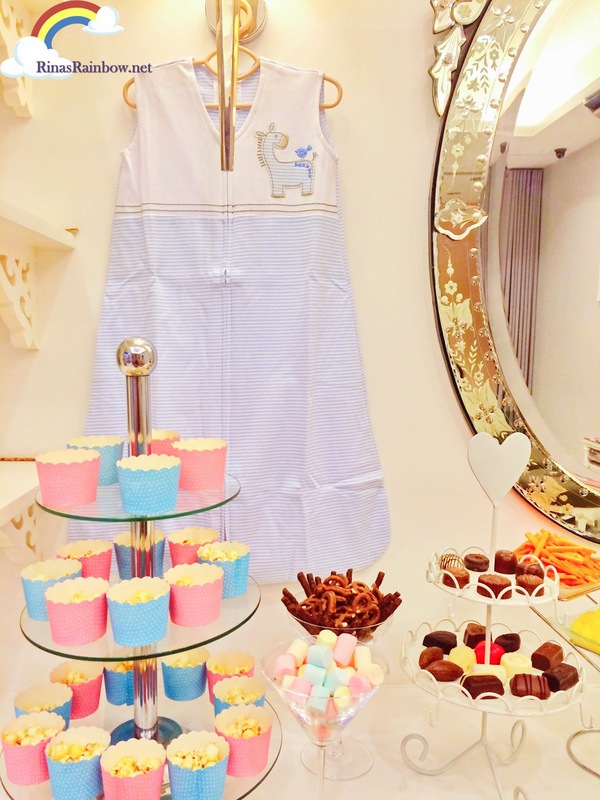 Here are some mommy / lifestyle bloggers relaxing and chatting the night away after the HALO presentation. These sinks are really built in on the ground by the way. As well as the hose. Anyway, we were asked to choose between these three on the list for our choice of hand spa. After careful delibiration (and after the nice lady told me that the Inside Out has a great fragrance), I went with that one. And boy was she right! Here's the hand spa set. This is for the lavander though. Of course I didn't get to take a photo of the ones for Inside Out because my hands were all wrapped up. First she scrubbed some body scrub on me. Then she spread some of that really good-smelling cream all on half of my arm. I can't explain how it smelled like but it was really refreshing. A bit of fruity too! But very subtle that's why I liked it. 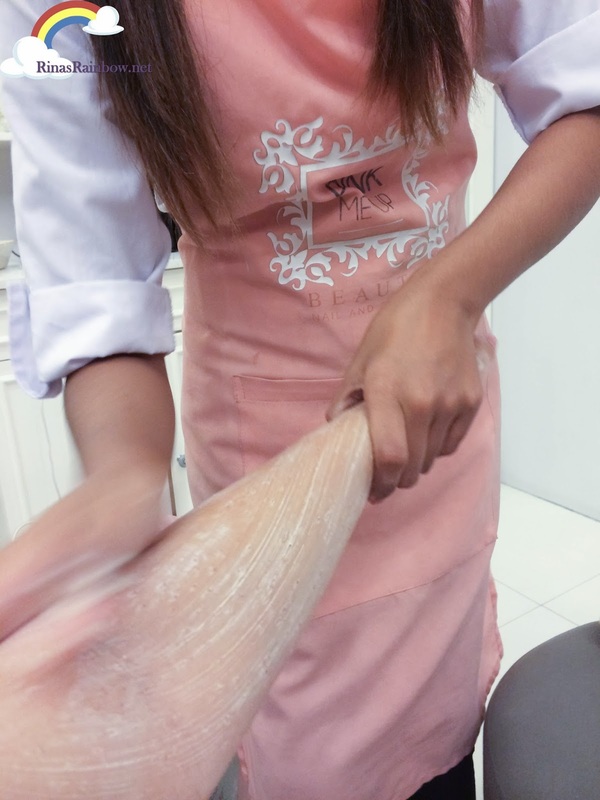 And then like a piece of meat, she wrapped it in saran wrap for a few minutes. And then wrapped it again in cold towel. I stayed like this for probably around 15 minutes? 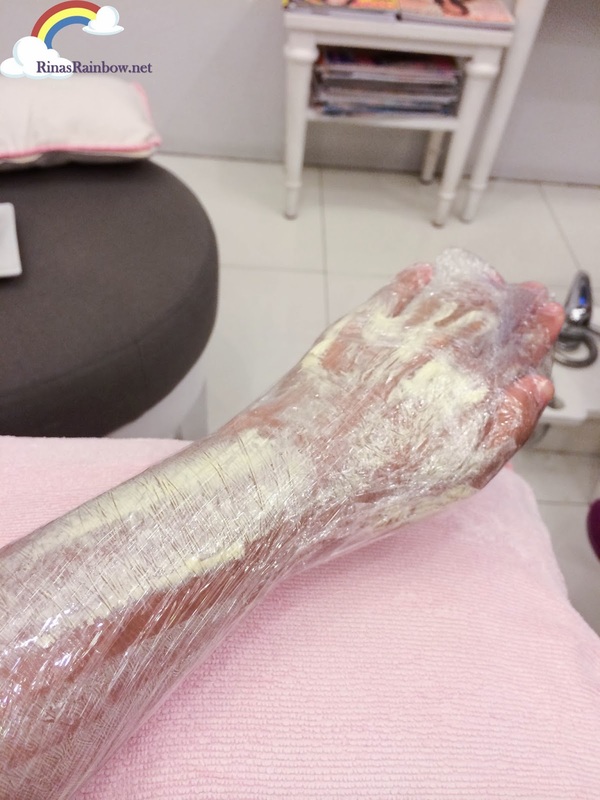 And then when she took it off, wiped off the excess cream and I was basically done. 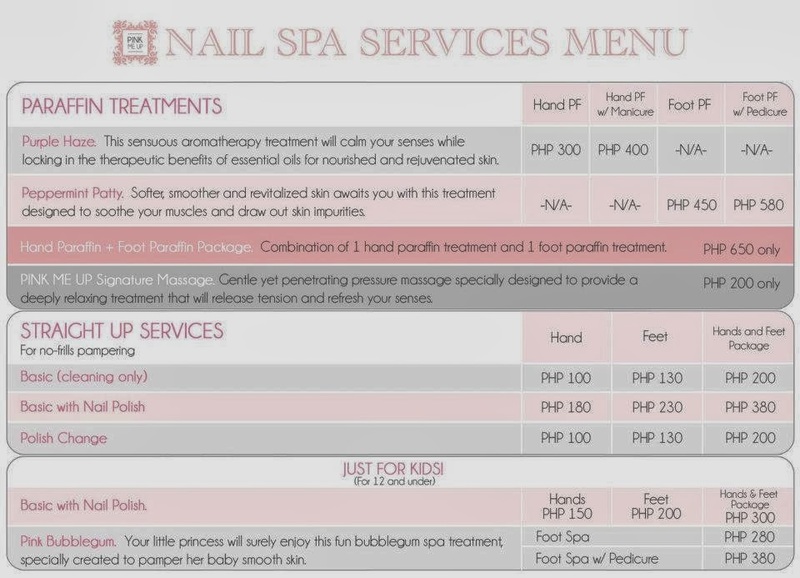 I only had that hand spa because I was worried I might end up too late if I got a pedi cure or a manicure. I wanted to hurry home to my little Rainbow. 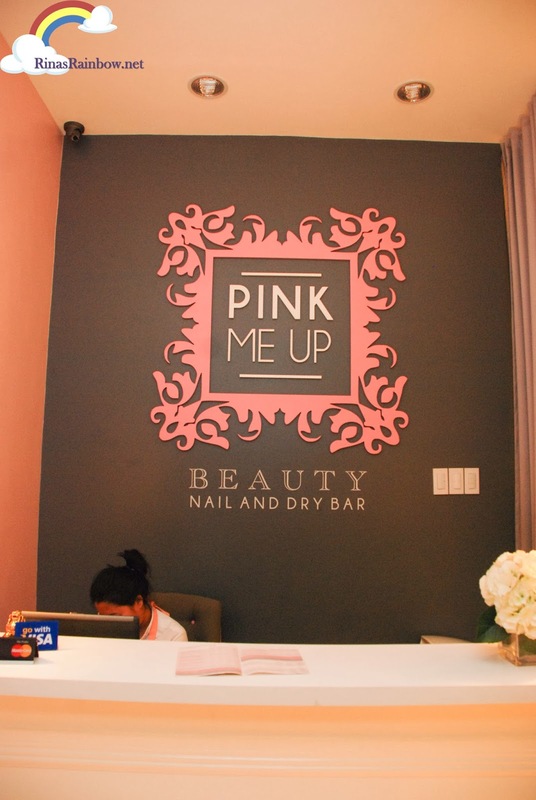 I had an awesome time at Pink Me Up Beauty Nail and Dry Spa. I think it's a really nice place to hold intimate parties and the likes. 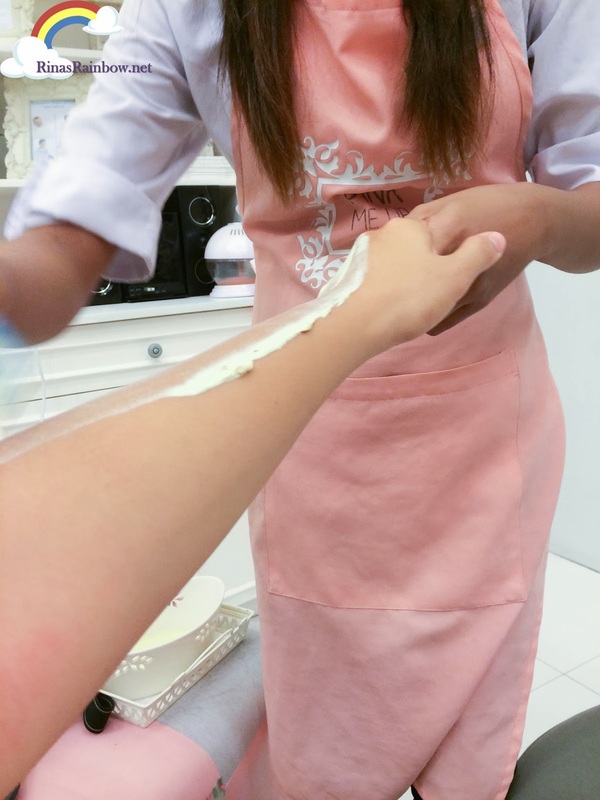 And I definitely want to come back for another Inside Out hand spa treatment! Follow then on Facebook to get updated with current promos and services! Very nice guys but I think I have found the best spa for all Beauty Salon in Barrie, Thanks for sharing ! 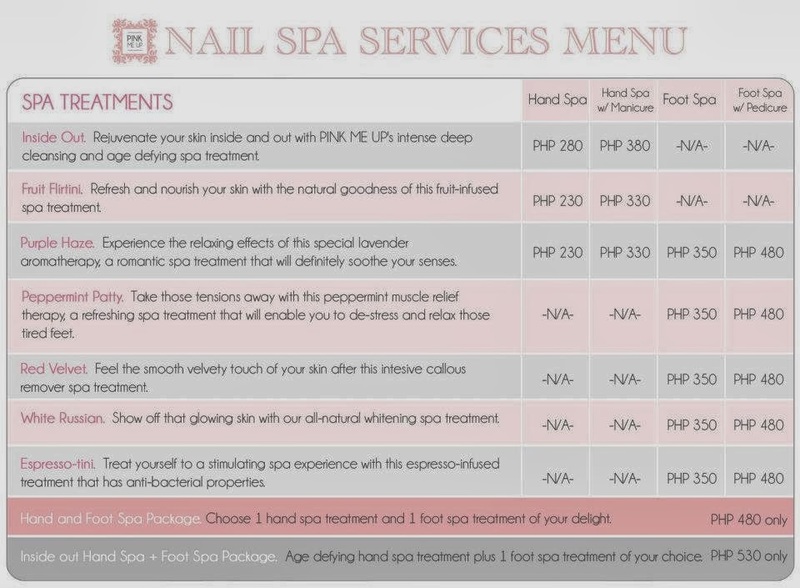 If you are going to find the great foot therapy due to your need, you might want to see this Nail Spa service center. People may get confused when they want to choose certain service when there are various types for the same item. The advantage of best foot massagers machine is that you are in full control of the strength and pressure of the massage, and the protrusions on the massager and the rolling action are designed to provide for a deeper stimulation of the feet tissues and muscles,and it's also relief pain in your feet. The real website offering ladies the highest grade of makeup goods. relax is necessary in our day, the ideal is an escape in nature or enjoy a spa day to take care of our body and invigorate our mind. It is a spectacular site, the article makes very good references. The decor and attention speak first. 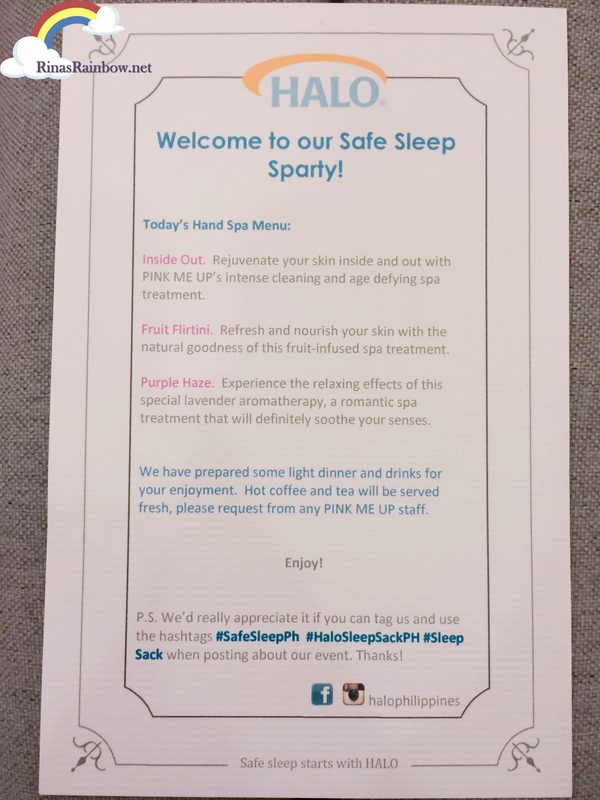 Thanks for sharing great stuff.. Visit Spa in Manhattan NY, a place where you can leave behind the stress and humdrum of your daily life and experience tranquility and harmony. Thanks for sharing great stuff..